In early July an unknown number of dolphins but thought to number up to two hundred were captured by local fishermen paid a few hundred dollars to do the dirty work. Christopher Porter a Canadian citizen is implicated in forming companies one being, the Solmon Isles Marine Mammal Education Centre, a name with a thin disguise to capture dolphins for dolphin shows and "swim with dolphin" programs overseas. The Solomon Isles have been and still are in political unrest and their government called for a peace keeping force from Australia and New Zealand to intervene. In this present climate it is unclear if any permits were issued by the Solomon Isles government to capture ANY dolphins, however the numbers sited, estimate 60-200 dolphins have been caught, clearly an unsustainable and unprecedented capture operation. BOSTON - The World Society for the Protection of Animals (WSPA) expressed deep concern today for the welfare of dozens of dolphins captured and confined in small pens by local fisherman in the Solomon Islands, north of Australia - This is how we learnt in mid July of the captures. However it appears Porter and his company have been capturing since May 2003. 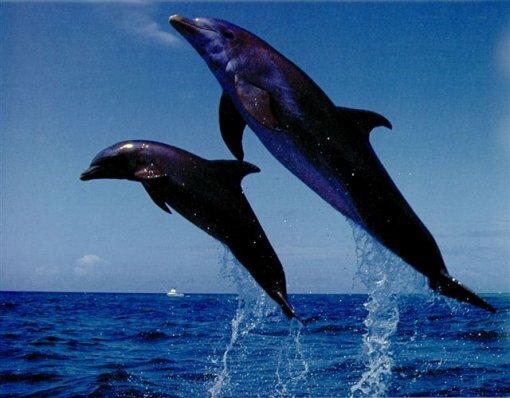 On July 21, 28 dolphins were flown into Parque Nizuc in Cancun in Mexico. Parque Nizuc is part of a complex of swim with programmes where as many as 150 dolphins are held for the amusement of tourists. A few days later 1 dolphin died and many of the dolphins are reported as being unwell and logging at the surface. Another dolphin reported to have been at the park/prison before the introduction of the 28 dolphins has also died. In the Solomon Isles all we can say is "Several have already died, food is scarce and locals have reported scratches and blisters on the marine mammals, caused as a result of the dolphins being unable to dive deep enough to avoid the sun's rays." On August 22 Mexico announced no further imports from the Solomon Isles would be allowed and on August 25 the Mexican authorities close the park for investigations. It is clear that laws have broken the Cites requirement that a study of non-detriment to a species must be carried out. The national law of Mexico was broken by the introduction of a non-native species. The tens and tens of thousands of protest mails and faxes, along with Mexican groups, seemed to be having an effective at least on the Mexicans. However back in the Solomon Isles it was reported on August 25 that another 10-15 dolphins had been captured, this was stunning news and the international animal community faces its biggest challenge in the capturing of dolphins from the seas off the Solomon Isles. Between 10 and 15 wild dolphins were captured on Friday 25 August in the waters off Honiara. These dolphins are now imprisoned in the seapen at Honiara. Divided into smaller pens, the structure was put together as a holding pen for dolphins to be exported. Eyewitness accounts say that there are now more than 25 dolphins in the Honiara pen. These captures took place just two days before the Australian PM John Howard arrived in Honiara to deal with corruption issues. On August 28, a national Australian TV show, A Current Affair showed exclusive footage of the seapens in Gavutu and in Honiara. The cameraman was badly injured when attacked by l5 men who tried to prevent him filming the Honiara seapen. A large block of cement was thrown at his side and he had to be subsequently hospitalized. The pens are overcrowded and even the reporter was moved to say that the dolphins were miserable and hungry. The most pitiful footage was that of a dolphin turning around in circles, obviously a "trick" it had learned in response to getting the sparse and unsuitable food. At Gavutu, an accountant by the name of Basil who knows nothing about caring for dolphins is in charge of the tidal seapen. It was obvious on the segment last night that the waters are shallow and equally obvious was the distress of the dolphins. A vet and the manager of SeaWorld Australia were forced to admit on camera that the operation appeared very primitive and the dolphins were "not at ease" in their situation. The program also revealed that the SI "licence" expired in December, 2002, seven months before the export to Mexico. As well, the reporter revealed that the $500 US to be paid into a research fund to investigate the dolphin trade has never been collected. Given the extent of international criticism and outrage, this latest capture is an indication of the depth of corruption in the Solomons and the extent of unwillingness of the governments of Australia and New Zealand to tackle the dolphin corruption and capture issue. Useful addresses. Please express your outrage and disgust. There MUST be no further captures and the Mexican authorities must confiscate and then return the dolphins to the Solomon Isles. Australia and New Zealand should ensure the future protection of dolphins around the Solomon Isles.